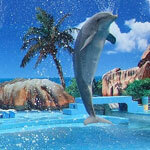 Theme Parks are a perfect place to spend some fun time with all the family in any warm and sunny day! And although seems contradictory to go to the Algarve and hit a Theme Park instead of the beach, it's the perfect option for those "today I'm not in a beach mood" days. But remember, the Sun burns equally strong anywhere in the Algarve, either in a Theme Park, in a cloudy summer day, or at the beach. 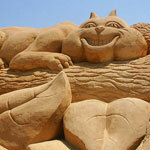 FIESA is a mega exhibition of sand sculptures held by Prosandart since 2003 in Pêra, Algarve. The festival is unique in the Iberian Peninsula and is considered the largest sand sculpture festival in the world.